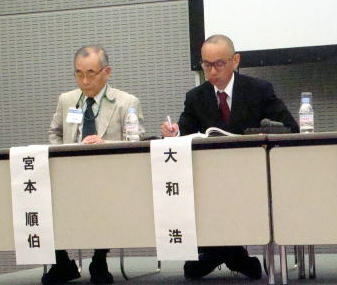 The 85th Annual Meeting of Japan Society for Occupational Health was held in Nagoya, in May-June, 2012.
to insist to protect their health from the toxic tobacco hazard. nearly 6 million people each year, of which more than 600,000 are people exposed to secondhand smoke. 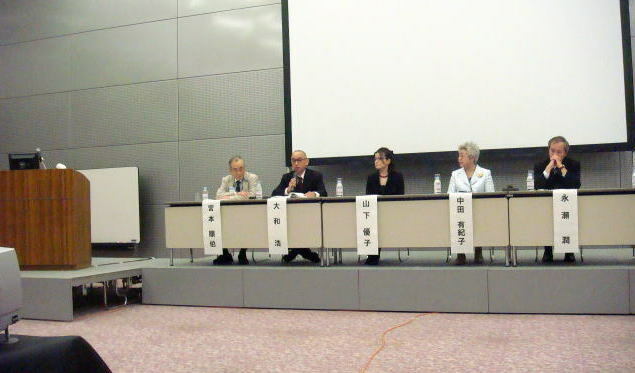 (M) Many participants attended the Annual Meeting of Japan Society for Occupational Health. 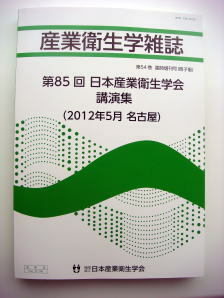 (R) Abstract book composed of 559-page manuscripts. 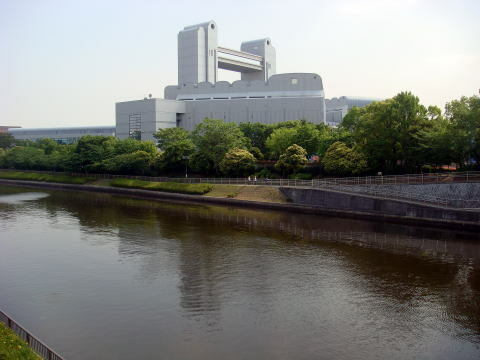 which confirmed the separate system would not prevent the nonsmokers from a tobacco hazard. 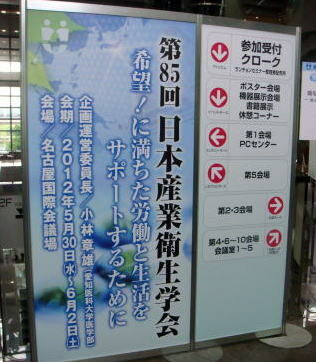 More than two-thirds of audience who cannot get inside the hall watched a video placed in another room. 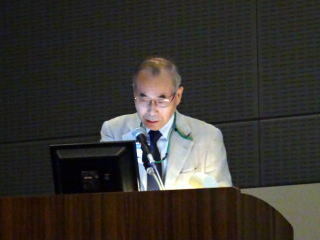 Dr. Miyamoto presented the pictures, including his own photographs. 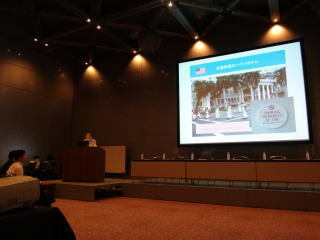 He said that Japan is the country that promoted tobacco sales. on cigarette. 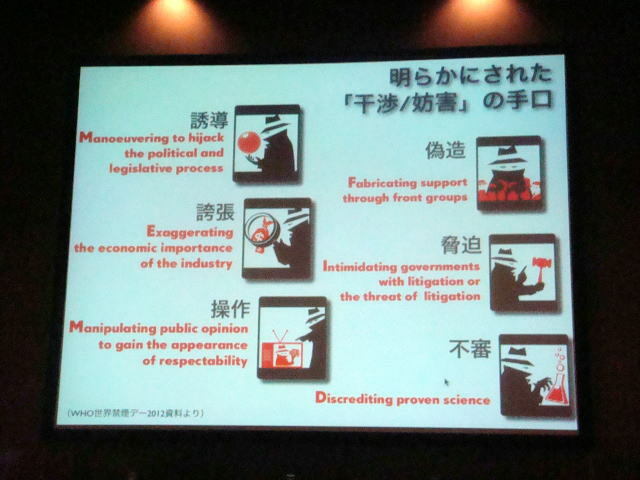 This difference comes from the politicians, how they protect their people from the toxic substances. (L) Smoking can kill you. 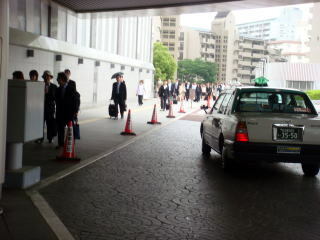 (R) JR-Tokai, JR-West and Kinki Nippon Railway company are running a smoking car. The toxin from tobacco smoke can seriously harm the health of a train conductor and a sales staff on the train. 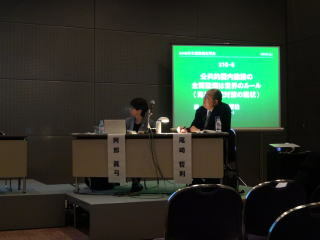 (L) Dr. J Miyamoto insisted that we consider the workers' health first in establishing a smoke-free law. (R) All train in the world should prohibit smoking in a train. (L) Smoke-free rental cars with Avis and Hertz (R) All restaurant/cafes in NZ are smoke-free. 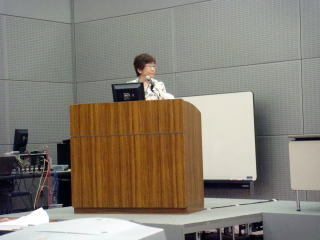 (L) In 2004, Irekland established a rule to ban smoking in all work places. (R) Hotels in the advanced country abandoned a smoking guest room in order to protect a hotel guest and laborers. and states of Wisconsin and Michigan prohibits a smoking room in a hotel. (R) This map shows the lower limit of non-smoking rooms of a hotel. For instance; Hawaii, 80%, Michigan and Wisconsin, 100%. (L) In July 2006, Queensland established an outstanding smokefree act. (R) Spain abandoned the 2006-law for smoking restriction, and adopted a new law to prohibit smoking all public spaces. 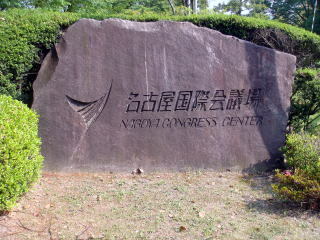 The article was written and photographs were taken by Dr. J. Miyamoto,in June 2012. A total smoking ban in the public space is the rule of the world.